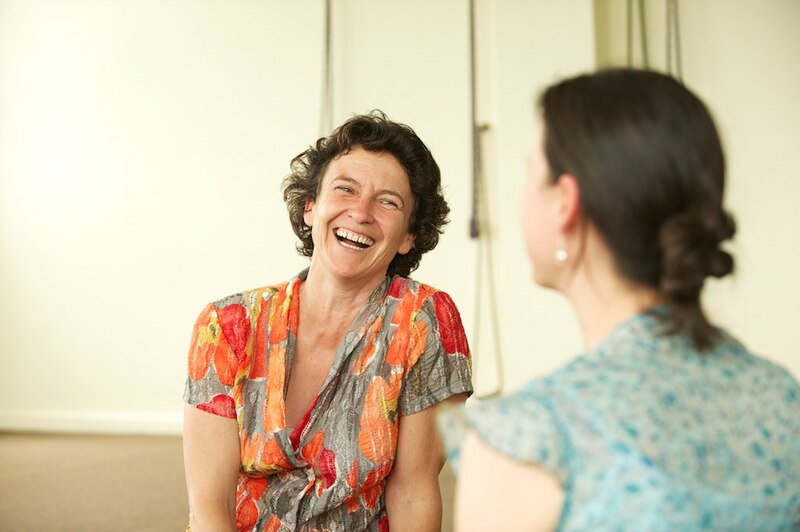 Dynamic and energetic Kate Pell heads the calming Bowral Yoga Studio in the Southern Highlands. When it comes to soul and spirituality, Kate believes that pivotal to peace of mind is forming a connection with the dynamic intelligent nature inside and all around us. Her journey to yoga teaching, studying traditional Chinese medicine, and developing a sense of happiness wasn’t straightforward. Like many of us, Kate searched until she discovered the right place in the world for herself. I had a long chat with her at her bright and light studio, on a sunny summer day in Bowral. Jess: Can we start by talking about your background, your ‘origin’ story, where you grew up? Kate: I grew up in a small country town called Numurkah, it’s north of Shepparton in Victoria, up near the Murray River. I call it “flat country”, a farming community for the growing of wheat, fruits and vegetables, sheep and milk production and big dairy areas. I was the youngest of six kids. I think everybody has issues and problems at certain times while growing up, and issues with your siblings, and the odd time at school, times when you’re feeling on top and other times when you’re feeling low. I had lots of emotional rollercoaster rides This comes with the basic territory of growing up. All of the developmental “stuff” that – when you’re talking about the soul – that offers. Such a fertile ground, that in retrospect allows a greater understanding of yourself. Obviously your parents are important because you’ve taken on their DNA. I had a wonderful relationship and still have a wonderful relationship with my Mum. I was at loggerheads with my Dad for a long, long time. But over the years there’s been lots of great healing and now we’re good mates and I feel really appreciative of him. But again all of that has been such great learning. When I was about 14 I did some work experience at the local news printers for a week. They seemed to love what I did, they thought, “She is quite capable and good with people,” so I worked there for a few years until I finished high school. Kate: I was the Girl Friday, so I would see people coming in wanting to put an ad in the paper or needing to pay a bill, I would generally be at the front desk serving customers, but also buy morning tea, clean, work on the newspaper negatives, accounting, collating, photocopying, etc. I would have to paint this special chrome paint on it to make sure that when you printed it you didn’t get black spots everywhere. I even had to clean the launderette next door. I did the banking and got the wages each week, I having to carry out what seemed like a massive amount of money from the bank. So they gave me quite a lot of responsibility, which was great. The owner (Launa Morris) asked me, “Would you like to stay on?” and I was thinking, “Would I do journalism and stay here?” But I decided not to, so I finished my HSC. When you live in a small country town one of the ways to get out of town was to head to Melbourne. So I went to university and I studied industrial chemistry for two years. I was at this stage of my life a shocking student. I was going through a stage of inner rebellion and not really wanting to focus on my study. I also started working in disabilities while I was a student. I was working with young people, some eight-year-old children who had differing levels of physical and intellectual disabilities. I did this for about 15 years while I lived in Melbourne, until I was about 38. I completed one year of occupational therapy and then I found something that I was really more passionate about. I went overseas for a trip for about eight months and I came back and I discovered shiatsu therapy. This led me into the direction of oriental therapies. I found eastern philosophies of healing and touch a more natural way of looking at life. I really enjoyed this and I found a much greater enthusiasm for putting more effort into my studies. I completed that course and bought a little shop in High Street in Northcote [in Melbourne]. My partner [at the time] and I took over this little arts and crafts shop, and there was a room at the back where I set up my shiatsu therapy room. When I went overseas just before that in 1989-1990, I really dove into yoga. I studied it for a few weeks in southern India. That was my first real contact with yoga and trying to sit and meditate, not really knowing what I was doing. Along with doing the shop and the shiatsu therapy, I spent some lovely days just practising, spending every day looking at Mr Iyengar’s book and going through postures. I never really went to many classes, I just did my own home study. 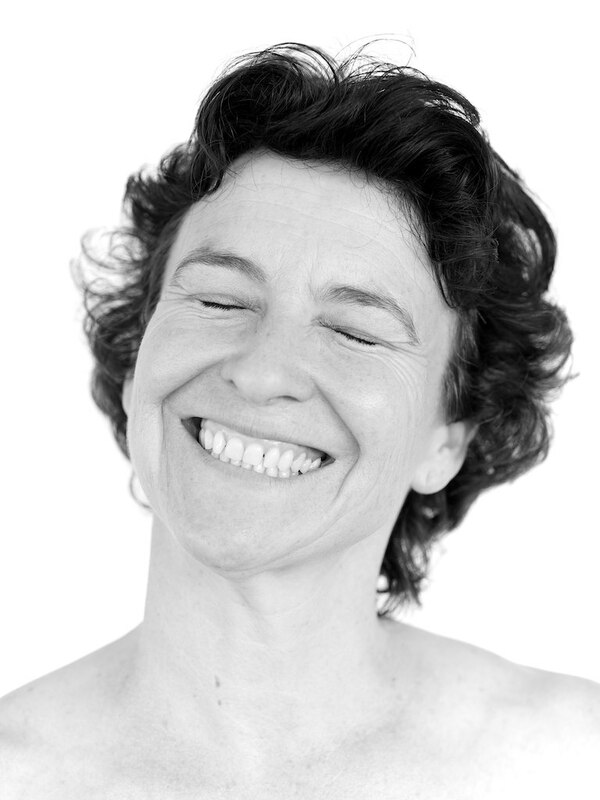 Then in the mid-1990s, I completed yoga teacher training and Kundalini yoga with a wonderful teacher, Joy Spencer in Melbourne. I think Joy was 74 when I studied with her. She went to India when she was in her 30s and studied with Swami Sivananda. She was amazing, there wasn’t a lot of alignment stuff like there is in Iyengar yoga but her energy was amazing, I would leave there just floating. So I studied with her and then started going to a few different classes. That slowly developed to eventually starting to teach myself in the late 1990s. Jess: So it sounds like it was a slow evolution, you didn’t have a light bulb moment at 14, for example, like “When I hit my 30s I want to be teaching yoga one day”? Kate: I had no idea. I don’t think I realised when I was 14, but as time went on I realised I liked being in the capacity of serving others. So my previous jobs, like being behind the counter at the local newspaper printers, then working in disabilities and then Shiatsu therapy all led me to recognise that I liked to help people. Working in intellectual disabilities just taught me so much. They were just amazing people, with amazing strengths, even though their bodies and minds made life so very, very challenging, they still managed to bring joy into their lives. The possibility of yoga teaching as a career started when I finished my teacher training with Joy. She asked me if I could take a few classes for her because she was going away. I was so scared but I taught the Wednesday nights regardless. I felt proud inside to have the opportunity to teach for Joy, but it was like I was out of my body the whole time. I had a major case of nerves, I guess like stage fright. I thought, “That’s it, I’m not going to be a yoga teacher”. I was contemplating it as a career for myself but after the experiencing teaching for real, I realised I felt too uncomfortable. When I was a kid, my mum used to say, “You should become a physiotherapist”. Jess: So working with people and bodies, she had enough intuition to know that. Kate: Yes, we used to massage each other a lot, I’d give her back a rub and we’d swap. So I liked that connection and working with people in some sort of healing or supportive capacity. But after teaching for Joy those days I didn’t think I would take yoga on as a profession. But when I was living in Strathewen, a friend of mine said, “I’ve got five students ready, when are you going to start?” Someone inside me said, “How about next Monday?” So I started teaching classes at Strathewen Hall. Jess: And was that experience different? Kate: Yes, it was different because when I was teaching for Joy in her home for her students, I think my whole ego was saying I had to try and be Joy. I didn’t know who I was as ‘Kate the yoga teacher’, so it all felt very new. The students all said, “That was great and where you are teaching?” I thought, “Oh god, that was hell, that was so hard!” But taking on classes of my own, setting it up and teaching from scratch and discovering me as the teacher was a lot more comfortable. Not that I wasn’t nervous, not that I didn’t have doubts, but I thought, “Well, I’ve started and I will continue on”. Kate: Yeah, you set yourself up to teach and five people will turn up, and then another night there’s no one, and then another there’s one person, another night there’s three, then five. But within a year, I remember sitting in Strathewen Hall, there’s no township there, just a sign that says Strathewen Community Hall, which very sadly, during the fires down in Melbourne got totally demolished and a lot of people passed away, students who were there. I remember sitting on the stage there and looking out at 35 students and going, “Oh my god, this is incredible, who would have thought!” [Laughs.] So I did have ideas, there was some inner inspiration about what was going on, but I really didn’t know what it was. I felt really excited by life. A dear friend of mine, as soon as she saw someone playing guitar on the TV, said “That’s what I’m going to be.” And that was from a really young age. Jess: She had a moment of clarity at that point. Kate: Yeah, but for me, I really wasn’t quite sure who I was and what I was meant to be doing. Jess: Yeah, I’m intensely envious of people who can have that single-minded focus from a really young age. Although sometimes not so much, because you get to learn a lot when you’re searching, when you’re looking, you encounter different people and try different occupations until you get to a point when things start to consolidate and things start to fit. Everything I did, everything I studied really supported the next step, even though I wasn’t aware of that process. Kate: Now, looking back, it was a great journey. And everything I did, everything I studied really supported the next step, even though I wasn’t aware of that process. I now look back and even the industrial chemistry that I flunked out of, and even the occupational therapy, has really assisted me. Jess: I was curious when you mentioned the industrial chemistry, you went from working in a print shop, which would have suggested a career in journalism, but then industrial chemistry is a bit of a tangent. Kate: It is, the work at the local newspaper printers was just a fluke. It was just the opportunity that presented itself and I said, “Oh yeah, I’ll work there for the week,” and I enjoyed it and they enjoyed me, so that was my little bread and butter. I was in Year 9 or 10, so that was me being able to buy records and do things that I wanted to do. Even at school I loved sports, I was quite physical, I was a fairly good A or B student until about Year 10 when I started to rebel. I wasn’t quite as happy within. But I had and still have a great respect for one of my older sisters. She was the bright and brainy one and I just wanted to be like her. And so when I was choosing subjects I didn’t think of history and art and all of that. I’m not really artistic but I didn’t think of history and social things in that sense, I thought I’ve got to do physics and chemistry and maths because I want to be like my sister. But I did well, I really like maths and probably because I did best in chemistry I ended up applying for some chemistry courses, not knowing why. I thought I would become an environmentalist with my chemistry knowledge. Jess: So there’s a humanitarian spirit there. Kate: Yes, the plan was to become like an environmental scientist. Jess: Was your experience of working with people with disabilities formative for you at a deeper level? Do you feel that you carry that with you in any way? Kate: Working in disabilities has made me a much more compassionate, empathetic person because they taught me. I was just so humbled by how they took life on, even though it was really challenging, even though they were stuck in a wheelchair, even though they couldn’t express themselves properly. They generally had very challenging lives and yet they took each day as it came and did what they needed to do. I just bow down to anyone like that. They were great teachers for me. They’ve shown me that I should be very lucky for what I’ve got. I feel very humbled and lucky to have everything I’ve got. Jess: Getting back to your journey to becoming a yoga teacher; being more broadminded and therefore curious about other belief systems, you developed a curiosity about eastern traditions. Can you tell me a bit more about that? It’s all happening, but you don’t have any control, things are going on and they will always be going on and they always have been. Kate: I should mention that when I was seven, I had an experience and it was just a moment in time where one morning on a weekend I happened to climb up the roof of this great old house that Mum and Dad had. I was just sitting up there and I had this moment. I don’t know if it lasted for a few seconds or if it lasted a few more. You could see over everybody’s fences and you could see life happening; someone’s hanging up washing, someone’s mowing the lawn, someone’s playing with their dog, there’s adults, there’s young kids, there was just this sense of life’s happening. I had this moment of, I don’t know, it’s difficult to put into words, sensing the whole totality of life. Just sensing that it’s all happening, but you don’t have any control, things are going on and they will always be going on and they always have been. I had this moment of deep peace. And some sort of revelation, or whatever you would call it at the age of seven. Kate: Yes, but I couldn’t understand it logically. Anyway, I don’t think that understanding life is purely conceptual mind. It was a little bit beyond me. Internally, I just went, “Wow! Oh my God, wow!” There was an internal feeling in my body of the enormity of life, it’s just enormous, and it’s simply happening. It’s all happening, but yet I’m very still. So I think that moment has always stayed with me and has influenced me. Sitting up there for those few moments and seeing everything happening, it was like patterns; people mow their lawns every so often, people wash their clothes and hang them out. Rather than it being drudgery, I saw this cycle. There is a cycle to life. Like the cycles of weather, of night and day, and of the seasons. And I remember growing up thinking that Australia is getting too much like America; all the TV, all the lollies. Maybe it was the influence of my folks; they watched a lot of ABC and listened to Radio National. I was a little bit against the westernisation of the world, which didn’t seem very caring with nature. And I wasn’t really into western medicine. We’d have to go to the doctor, but somewhere something changed where I started to disbelieve. I was coming into my later teenage years, listening to music, and reading magazines. I did go through a period where I was reading Dolly magazines as a kid. Kate: That’s right! I tried to keep up with that but I wasn’t into nail polish because I was quite a tomboy, so I felt rather inadequate. I think a lot of the inadequacies within myself also prompted me to support the alternative. So, even as a little kid I was turning into a bit of a hippie. Further down the track from my own experiences with western medicine, particularly in my mid teenage years, I had sinus troubles and I was given a lot of pseudoephedrine and it really knocked me out. They told me not to swim for two years, and swimming and playing at the pool was my life. In the end I don’t think it was a reaction to chlorine, I think I was just going through some reactive stuff whether it was seasonal with wattles or food. So I started to question western medicine and the things that we were taught at school. In history there was very little taught of the truth about Aboriginal history, it was mostly English history. Jess: The dead white men history. Kate: Yeah, absolutely. I think there was a bit of disappointment and maybe my feelings of inadequacy about fitting into society prompted me to look into eastern philosophies. I really loved Jonathan Livingston Seagull, I remember thinking, “Wow! I could do anything, I could give it a go. And yes, you’re going to end up dying, but that’s okay!” So there were some major books that blew me away and made me contemplate that there’s more exciting things than getting married to a farmer, because that was the pattern, you would grow up and get married and have kids, and I haven’t done that. But I feel quite lucky. So working with people with disabilities and looking into eastern philosophies all fitted in because it was going against the norm. Part of that might have been a bit of a personal struggle of my own to rebel but there was obviously a deep interest in what’s life about and in watching things like cycles and recognising all sorts of patterns in life. Jess: You felt an affinity with those kinds of themes? 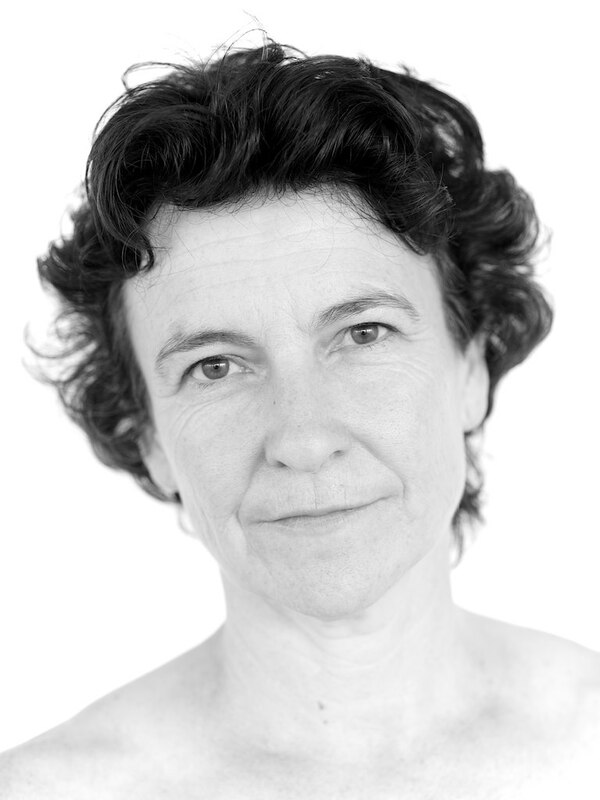 Kate: Yeah, especially when I started the shiatsu therapy course, I worked with a major text by Giovanni Maciocia. So here’s this Italian writer with this great Chinese text on traditional Chinese medicine. And inside I was saying, “Yay!” I could feel myself screaming with joy because it just made so much sense and this is what I’ve been missing, this is what I’m into. Jess: It struck a deep chord. Jess: And so yoga came along, but that wasn’t necessarily with great expectations that something would come of it? Jess: The Soul Spectrum is looking at people’s understandings of the soul and spirituality and soulfulness. ‘Soul’ is just the catchall word for it given it means different things to all people. What would you say that soul, spirituality, soulfulness is for you? What does it look, feel, taste like? How is it expressed in your life? I don’t think that conceptualised mind can grasp the totality of life. Kate: I guess it’s multilayered. Firstly, what I’d like to say is that I don’t know. I would like to say what I think, but what I think is conceptualised mind, and I don’t think that conceptualised mind can grasp the totality of life. Like me sitting on the roof when I was a kid was connecting with something that was either a deeper level of mind but not limited to the black/white, night/day duality of this world. So, I don’t know the answer to your question. But when I think about what is life and how does it all work and why do some people have it rough and why do some people have it easy, all those sorts of things, I would say that one of my best teachers is nature. So if I ever want an answer, I look at the wind in the trees, I look at the clouds in the sky, and I look at animals, and that gives me a sense of connection, or a reconnection if I have lost some sense of myself. I had lost connection with myself in my late teenage years, which is why I failed a lot of my studies and wasn’t so committed. This too was reflected in my desire to get “out of it”. I was into alcohol, dope, partying and socialising, quite a bit. Jess: Just being a typical teenager! Kate: Yeah. Anyhow, I did a 10-day Vipassana course in my late 20s and the penny really dropped. I realised I was running from myself. I wasn’t connected. The more I drank and smoked and partied, the more I was feeling disconnected. I wasn’t settled in myself. So there was an anxiety that I would cover up with drugs and so on. A lot of it was great fun, but I realise the intensity of not being able to stop, of binge drinking and going crazy well into my 20s. There wasn’t a sense of self that said something about being mature and about being connected. So now I realise that what was missing was a connection with myself. When I feel disconnected, which to me means that I don’t feel comfortable in myself, comfortable with whatever is happening, if I’m not able to be with that, then I realise I’ve lost connection. So if that happens I go for a walk in the bush, I look at the trees and stop and pause and [sighs] feel my breath. That’s why I think yoga and physical stuff have been really good tools for me. I think that helps to make me feel connected. So I just feel comfortable with myself, and when I feel comfortable with myself, there is a level of contentment with myself. And in that contentment I feel okay and therefore I feel happy. Even if I am really desperately sad and feeling a lot of self-doubt, I know it’s okay. So I think spirituality is connection, it’s that feeling of being connected. A tree is a tree. It never doubts itself. Whereas having an active and reflective mind can lead us into trouble. So I do feel that spirituality is in all things. Spirituality can be drinking a glass of wine, spirituality can be singing oms in practising yoga, spirituality can be going to church, it can be driving a car, it can be brushing your teeth. I think people believe that spirituality is somehow separate from the mundane, but I think this energy, this intelligent life force that has the molecules in the air bouncing at the right speed that enables it to be available to us to breathe in and absorb that energy, that’s incredibly intelligent. So, for me, the intelligence of life is spirituality. Jess: Yes, they’re very sophisticated ecosystems that have worked out their internal logic. Kate: Yes, so when it comes to God, that’s God. The intelligence of nature, the intelligence of every cell of my body, of your body, of everything around us. It’s already happening. So if I’m feeling judgemental, if I’m feeling jealous, if I’m feeling down, I will remind myself that there is so much more happening and it’s okay to recognise that that’s how you’re feeling. I feel when I recognise my habituated mind states that I’m able to step back, hold it, love it, and it dissipates. Jess: I was going to ask a question about habit, because I think many of us in a western context do get raised amid a lot of chatter, such as advertising, which begets all of these anxieties and insecurities about image and material consumption. So growing up in a western culture makes it very difficult to come to that peace of mind. It requires a lot of training, a lot of discipline, a lot of vigilance, to break the habit of the chatter. Did you go through all of that and do you feel that you’ve broken the habit as best as you can? Kate: No, no! [Laughs.] No, I think it will be something that I continually practice. I do have a busy mind. And sometimes I love thinking about the world and how much better we can do it because I think there are great opportunities for human beings to grow and make things work. But it feels a little bit stuck in the dark ages where the majority of people haven’t had the realisation that they could live with sharing and supporting and community. We’ve done it in the past, we’ve come from that, but industrialisation has given us so much and taken away so much. I look in shops and I can see the varieties of lollies and sweets and wrappers and things that people have become attached to and feel they need. So there is a lot of chatter, there is a lot of stuff in the world, and there is a lot of, “I need this stuff”. And that keeps people clouded to really thinking about what they really need. What made me really change is having more of a contemplative mind and recognising this great connection. I feel much happier when I think less and when I just be more. So when I’m just in myself, there is a great sense of ease. But my practice is to keep practising doing that. People talk about when they’re enlightened, that they’re just in that zone. When I talk about meditation, the step before doing meditation is called “dharana” and it’s about learning to just concentrate, to just hold your focus. So all I ever feel like I’m saying to students is “C’mon, come back!” Getting the chatting mind to come back and be present. Jess: It’s so wondrous that what sets humans apart from the rest of the animal kingdom is, as far as we know, an incredible imaginative capacity, we can imagine objects and other worlds and we can create objects and we can create other worlds whether it’s in gaming or Disneyland. But I think what you’re saying is that we have made a few misjudgements along the way about how we can best put that to use. Now it’s a matter of trying to break through all of that and trying to reapply that imaginative capacity towards sustainability projects or health projects, or sending out more beneficial messages to people rather than selling junk food to people. Kate: Yeah, I totally agree. To me I feel life is really simple, this stuff isn’t hard. Jess: Our imagination allows for empathy. It helps us begin to understand how another person feels in a difficult situation and is the first step towards compassion and trusting and loving each other. Kate: Yes, that’s a big one, the idea that there is not just one way. As individuals we will have different ways of planting a tree. I’ll have my way, I’ll dig to a certain depth, you’ll have your way, you’ll dig to a certain depth and have a particular fertiliser that you’d like to use, and the tree will still grow really well, and the intention there is to do well. At times I might do it my way because I really believe in that, but at other times I might say, “I’d like to do it your way, let’s share this, let’s just do it your way, because I don’t have to do it my way”. I have learnt a lot from serving on Vipassana retreats to let people do their own thing their own way. And to realise that it can work out really well, although in my head I’m thinking they’re not doing it right. Jess: I want to ask something a bit more everyday, what does a day in the life of Kate look like? Kate: If I was to speak about this year , well, I had been teaching seven days a week from Monday nights through to Sunday mornings. One or two, sometimes three classes per day. And I’m at university, studying traditional Chinese medicine, my second year. I also teach two teacher training courses, one here in Bowral one in Brisbane. And I’ve got two dogs and five chickens, I’ve got a garden, and I’ve got to feed myself and get some sleep. I feel like I really enjoy life, but in setting up a new business and choosing to go to uni I’ve had to stay pretty focused and headstrong. When I wake up in the morning I know what I’ve got to do. I know I’ve got to get to class and teach and be prepared for that do my own practice. I’ve got to come home and walk the dogs. So there is a real sense of doing what I’ve got to do, but I’m really enjoying that. In saying that, I’ve also tired myself out a bit. Recently I decided to cut back my teaching to only four days a week, uni has just finished so I have a bit more space. I would recommend studying to anyone. Don’t ever let age stop you from learning. I’ve been having such a great time going back to uni. There is a level of stress, but maybe because I’m a little bit older I tell myself, “It’s okay, the worst that could happen is that I could fail”. Some days are fairly planned out and I really enjoy those times when I can sit down and have a cup of tea and cuddle the dogs. I’ve discovered iPhones and listening to music or lectures as I walk. When it comes to food, some days I can be really inspired to cook, but when I’m single – I’m now in a relationship which started not so long ago but I still spend quite a bit of time on my own – I’m not as inspired to cook for myself, so I make a quick basil pesto with cashew nuts. I sleep well, but sometimes I’ve got things on my mind between 1am and 3am, so I’m making lists, and then I fall back to sleep. I feel very fortunate living here in Bowral, I’m even enjoying the cold. Jess: It must have been quite warm back in Numurkah. Kate: It would get cold like it does here, those icy, bone-chilling days. And also very hot and dry summers down there. Here it’s just a little bit more humid. My days are just like anyone else’s. But I do feel very happy with life. I’m enjoying getting older, I’m getting onto 50 but that’s now young whereas I used to think that was getting old. I feel like everything that I’ve learnt in the past has made me generally happy. I still have some crappy days, I wake up and I don’t feel quite right, but part of my practice is to just love that as well, you don’t have to play into it. I lead a normal life just like anybody else. Jess: I’m a perpetual student of yoga, I’ve been a bit choppy about coming to classes over the years. But I have always found yoga teachers quite inspiring figures. When you’re watching them they seem to have it all together and they have lots of wisdom. Do you find that students sometimes come to you for guidance, do you sometimes become a counsellor to them? Sometimes I think people are genuinely lost. I remember back in the 80s or early 90s going to see the Dalai Lama back in Melbourne. There were at least a few thousand people who couldn’t fit into the venue and I was walking around and people were dejected, “Oh my god, what have I missed?” The penny dropped for me. There is a need for help. Maybe they have tried religion, they’ve tried Christianity or whatever, “I’ve tried doing it my own way, and you know what I’m still lost”. And a beautiful figure like the Dalai Lama comes. So people who didn’t get to see him were really lacking in something, I think it’s that sense of connection. Because if we are feeling connected, then it doesn’t matter if you see the Dalai Lama or not. I was there with my sister. We were standing outside because we also missed out on getting inside and actually seeing him, but it was a pretty amazing experience to realise that as a species we are missing something. We’ve separated from nature, from what’s really the basic natural importance. We’ve become really intellectual, we’ve become really industrialised, we’ve become very modern, we’ve got all this stuff but it’s taken us further away from the truth, it’s muddled our minds and hence there is a lot more pain and suffering. It is encouraging to me as the yoga teacher to have students come in who are physically challenged, but it’s actually helping them get through the day. So, because of something I’ve said, when the boss yells at them, they don’t take it so seriously. They might look at the boss was a bit more compassion instead. So I think the gift, in some way, of being the yoga teacher, is that the philosophy happens to suit the people who come along and they keep coming. But it doesn’t suit everybody by all means, there are lots of people who will come and go. Jess: So, with your studying of traditional Chinese medicine, is the plan to incorporate that into your yoga teaching or to retire from teaching and become a full-time traditional Chinese medicine practitioner? Kate: I don’t know, I have ideas, but I guess my life will just have to wait and see. I couldn’t quite imagine myself not teaching. 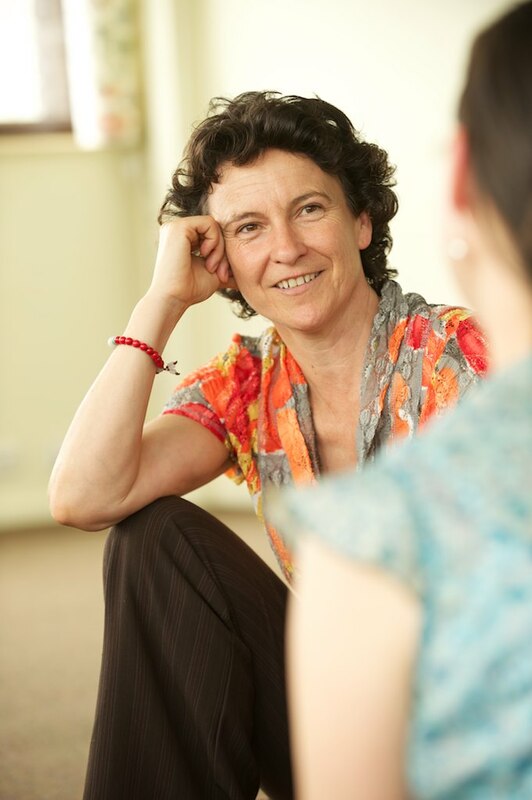 I’ve been running teacher training courses since 2006, so I’ve been teaching trainees of yoga to become teachers. I would employ an anatomist, I would employ a Sanskrit scholar to teach the philosophy. I would bring in other people to the course. Now that I’ve studied traditional Chinese medicine I know more about anatomy on a deeper level and I feel more confident to teach that myself, as well other things, the shiatsu, and bodywork, even the philosophy. So it helps me with my teacher training courses and it helps me understand the body better just in general teaching to the public. I think they go really well together, because when you’re moving the body in certain ways you’re also stretching certain meridians, so I can talk to people and them understand their bodies by knowing what part of the body is blocked. I wanted to study traditional Chinese medicine, but it seemed like such a big course and I didn’t think I was smart enough to do it, and now I’m realising that I am. That was from the years of being a bad student when I was younger, I thought I wouldn’t be up to doing it. So who knows, I think it will be a work in progress. Refreshing to read an interview full of positivity. Looking forward to more. Great to hear you enjoyed the interview, Jecca! There will be more interviews coming soon.